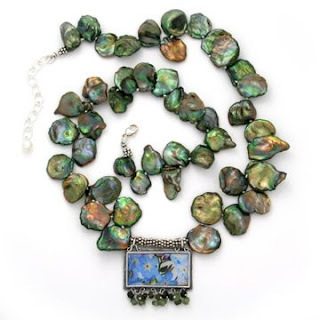 A gallery I hadn’t heard from in years called to inquire about ordering some new jewelry. I had forwarded a catalog, but they inquired about an old piece. Do you still make that necklace with the tulip? 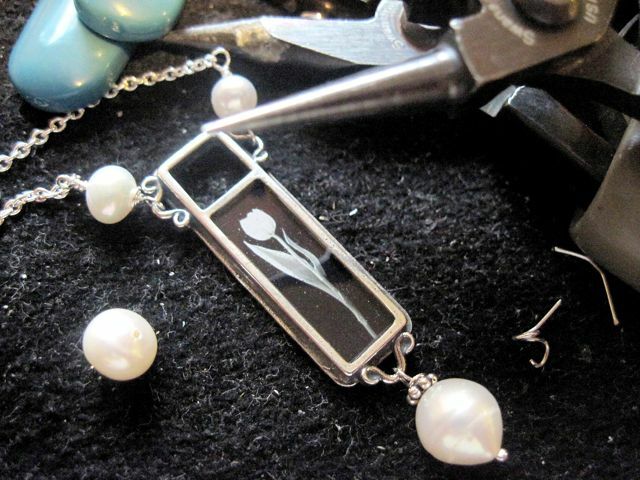 Was it the long one with the black and white tulip? Yes, that was it. Could you still make it? I’m working on a drawing for the APPLESandRUBIES blog title! …and hand drawing the title based on the font “Escher Hand”. See all the fonts I considered? I think of my Professor B when I look at fonts. She first showed me to love them. And I think of my Brother D as well. 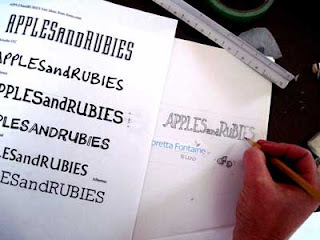 He’s a graphic designer who can tell you how to tweak and retweak the spacing and shapes of the letters when you design a logo. 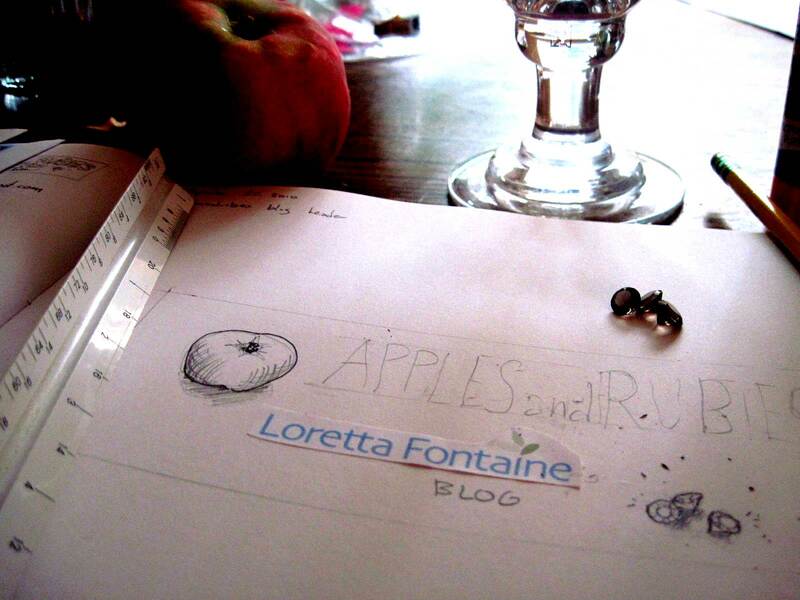 Look for the new title soon! 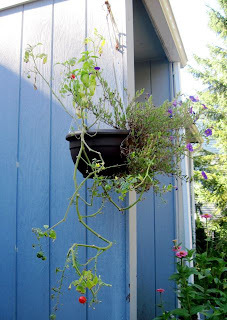 This was supposed to be my “upscale” version of the popular “Topsy Turvy” Tomato planter. only kept the petunias and added marigolds. 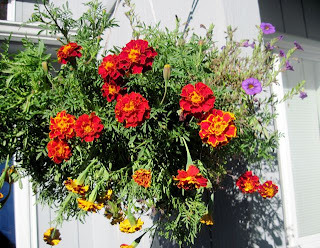 The basket hanging by the front door was planted with purple petunias, basil and cherry tomatoes and really, it did look nice all Summer! But now it’s just looking sad. 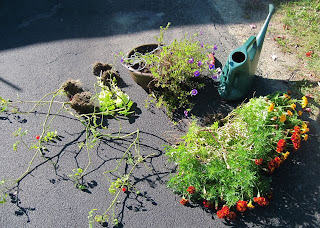 Out go the basil and tomatoes and in go some marigolds I dug up from the flower beds. Last night in the studio, listening to the Alessandra Branca interview on The Skirted Roundtable, I worked on this necklace as part of an order for a Connecticut gallery. 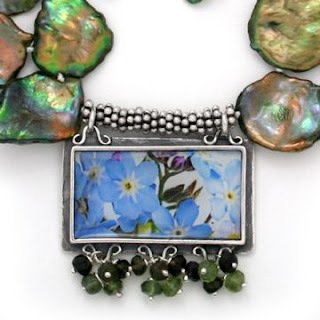 The necklace is a favorite, the photo taken from my garden at our old city house. 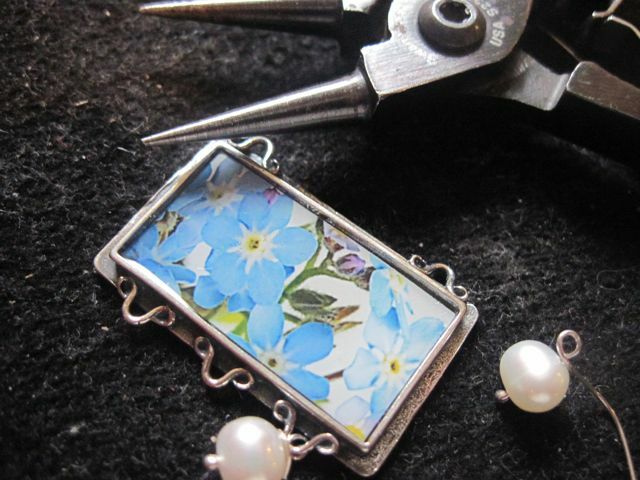 Here’s some finished images of a fancier version of the same necklace – this was a one-of-a-kind piece I made. 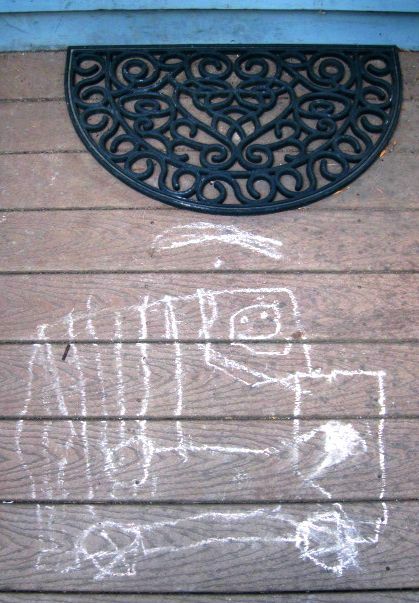 chalk drawing to welcome you! 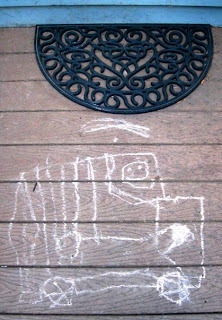 This chalk drawing my son scribbled on the front stoop seems the perfect way to welcome you to APPLESandRUBIES, my new design blog.